We are proud to introduce the new and improved Morris Lane taxapp! 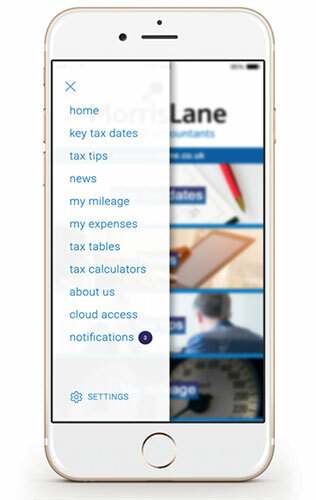 Our taxapp has changed to a more modern and progressive web application, providing the same great features as our previous app. All content will be regularly updated to ensure you always have the answers you need. There is no need to go to Apple or Google, simply download the app here. If you have our previous taxapp downloaded from either Apple, Google or Windows to your device, please remove this and use our new app. The previous version will no longer have the latest updated rates and information. Home | Contact us | Accessibility | Disclaimer | Privacy Notice | Help | Site map | &COPY; 2019 Morris Lane. All rights reserved.